Bristol-Myers Squibb said in a securities filing that the DOJ closed its FCPA investigation into the company and won't bring an enforcement action. The Securities and Exchange Commission said Monday that Bristol-Myers Squibb agreed to settle charges that its joint venture in China made cash payments and provided other benefits to health care providers at state-owned and state-controlled hospitals in exchange for prescription sales. In its Form 10-K filed this month, pharma Bristol-Myers Squibb said an FCPA investigation started by the SEC seven years ago that focused on operations in Germany has expanded to include other countries. Is Pharma Under Fire In Indonesia? As we said, two FBI agents at an international law enforcement conference last week said several U.S. public companies are being investigated for bribery in Indonesia. The debate about medical ghosting has focused on the U.S. market. But could the DOJ and SEC now be looking at the practice overseas, where it might violate the FCPA? Main Justice reported that in April, the DOJ and SEC sent letters to AstraZeneca PLC, Baxter International Inc., Eli Lilly & Co., and Bristol-Myers Squibb Co. 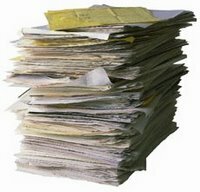 The letters asked about business practices in Brazil, China, Germany, Greece, Italy, Poland, Russia, and Saudi Arabia. Medical ghosting works like this. Drug companies hire outside firms to draft articles touting a drug, then retain a doctor or scientist to sign off as the author. The drug company then finds a publisher, who doesn't know the article was written by someone other than the person who signed it. Doctors and scientists eagerly participate because publication credit increases their prestige and professional standing. And the drug-companies use the medical journal articles as "independent" proof that their drugs are safe and effective. A Senate report released last month and quoted in the New York Times said: “Manipulation of medical literature could lead physicians to prescribe drugs that are more costly or may even harm patients." The FCPA's antibribery provisions prohibit among other things (1) the giving of anything of value (2) to a foreign official (3) to obtain or retain business. See, e.g., 15 U.S.C. §78dd-1(a) [Section 30A of the Securities & Exchange Act of 1934]. Ghosting has those elements. Giving a doctor or scientist an unsigned manuscript for publication has real value. Doctors and scientists working in government-owned or managed hospitals overseas are "foreign officials" under the FCPA. And articles appearing to independently endorse a drug help its manufacturer obtain or retain business. We don't know if medical ghosting will figure in any FCPA-related investigations of the drug companies. But it could. It was just two weeks ago that we were waxing about the quiet times for FCPA watchers, due to the temporary bottleneck in the appointment of corporate monitors. But come to think of it, the Justice Department's Fraud Section, the group in charge of FCPA enforcement, has a lot on its mind right now. In addition to the monitor controversy, there are sensitive investigations of BAE and Saudi Prince Bandar, along with Siemens, Panalpina and most of the oil and gas services industry. Giant insurance brokerage Aon announced an FCPA investigation. Medtronic is under the microscope with the rest of the leading orthopedic device makers (whose deferred prosecution agreements in their domestic bribery cases helped ignite the aforementioned controversy about corporate monitors). Last week, even stolid Alcoa joined the FCPA line up, courtesy of an inexplicable federal civil suit filed against it by Bahrain's Alba (in Pittsburgh, of all places) -- which the DOJ promptly stayed while it plays investigative catch-up. And let's not forget that at least three dozen other companies have disclosed yet-unresolved FCPA investigations over the past few years -- Shell recently became one of them (see also Panalpina, above); Halliburton and DaimlerChrysler are two others. And there's Total, ABB, Bristol Myers Squibb, Tyco and . . . . well, it's a long list. So it's not a quiet time over at the DOJ after all. That means the hardworking people there can be forgiven for little things, like gremlins making mischief on their FCPA Opinion Procedure Release website. Sometimes Releases disappear. This time, it's Release 08-01. When it was published earlier this year, we posted about it here, and it should be accessible as a pdf file here. As a reminder, Release 08-01 is the wordiest on record. It's about a proposed investment in an overseas privatization, and describes in detail the due diligence for the deal, protracted negotiations over the parties' compliance rights and obligations, and some final, remedial due diligence. In other words, it's packed with issues, action and guidance -- so it might come in handy. Quiet times for the FCPA? Not nearly. In fact, when the dam breaks for the appointment of new corporate monitors, which should be any day now, we're expecting the busiest FCPA enforcement season ever.